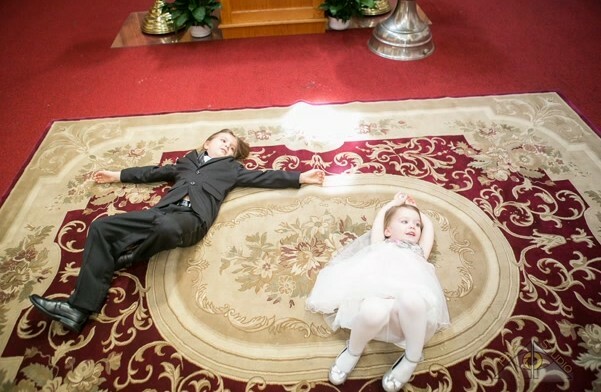 Today’s post offers some quick tips for photographers hoping to improve the quality of their candid photographs at their next baptism or christening celebration. While everyone loves looking at a great photo, many people hate actually posing for them. It’s an understandable reaction, of course – staying unnaturally still and following the directions of a photographer isn’t something most people do regularly, and the tension they feel often makes for awkward photographs. They see the results, dislike them, and it just makes them even more tense the next time around. Good photographers take the time to relax their subjects, of course, but some people just can’t relax when they are put on the spot. So what’s the solution? Candid photography, of course! Unfortunately, candid photography is something of a paradox, especially for those who are new to photography. It seems like it would be one of the easiest types of photography, but it can actually be quite difficult to get great candid shots. The main idea behind candid photography is to capture people interacting with each other in a normal, completely unselfconscious way, but many people will change what they are doing when they notice a camera is pointed in their direction. Despite the fact that your subjects will be caught in spontaneous moments, most of your candid shots will turn out better with a bit of planning. Take a look through these tips, try to take advantage of them during your next event, and see how much better your candid photographs turn out! Stay out of the limelight. One of the most important things for a photographer to do at any event is to ensure that you never become the focus of people’s attention – unless it’s specifically for taking posed shots. Sometimes it’s necessary to get in close to the action in order to take a perfect shot, but be sure to be as unobtrusive as possible and never cross the lines of decorum and respect. If people pay too much attention to you, you’ll rarely be able to catch them in a candid moment. The whole point of candid photography is to photograph people’s unguarded side, and many people (maybe even most people) get a bit tense when they are thinking too much about being photographed unexpectedly. Go for the long shot. One of the ways you can get around this concern of people is to shoot from farther way, outside of their sphere of immediate attention. Use a long telephoto lens (or your camera’s maximum optical zoom if you’re not using a DSLR) to shoot from across the room, giving you a better chance of capturing charming candid shots. If the event space happens to have an upper level, ensure that you make use of it to get good shots of people without having to interrupt them to do it. If you don’t have access to a telephoto lens, or if using one isn’t an option in your current If your camera has a movable screen, rotate it so you can shoot without having to raise your camera. If you have been moving through the crowd quietly and suddenly start raising your camera, anyone who is nearby is likely to realize what is happening and change what they’re doing, ruining the candid nature of the photograph. You definitely don’t want to be jumping out from behind a pillar or a crowd of people and firing a flash into someone’s face. You might catch them looking surprised, but it would make the very worst sort of impression! Taking advantage of the Live View mode offers an easy way to frame your shots without making it obvious that you’re taking pictures. Pay attention to the room to spot potential angles and clusters of people. Not just those who are nearby, but pay attention to the room as a whole. If you watch carefully, you may be able to anticipate where a great photo will be before it even happens. Notice who arrives, who leaves, and the emotional reactions of the others in the group. Candid emotion is crucial element of good candid photography! Emotional control is one of the reasons people tend to change their actions when confronted by a camera, as many people are uncomfortable being caught in an unguarded moment. Of course, all this planning doesn’t mean you should ignore ‘spur of the moment’ shots that present themselves to you. If you’re taking advantage of our ‘Go long’ tip and shooting with a telephoto, try keeping another camera at the ready with a much more close-up lens so that you can be as flexible as possible. Nothing is more frustrating than missing a shot because you don’t have the right lens in place! There you have it! 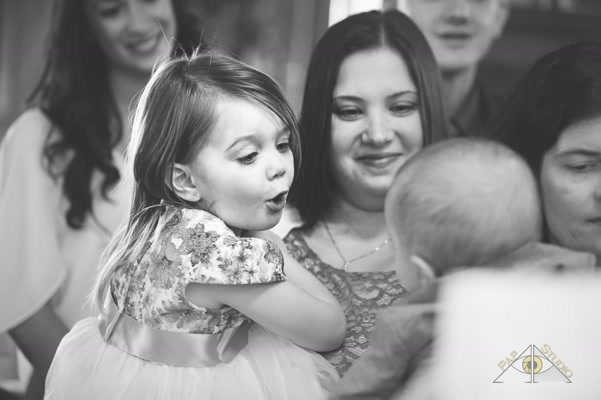 This advice may take a bit of practice to get used to, but following these tips should help you maximize the number of great candid shots that you get from your christening photography – or even at your next party! If you’re looking for some more tips and ideas about candid photography and how you can make the best use of it at your upcoming christening, baptism or other event, feel free to contact me for some additional personalized consultation. I can be reached at arpi@papstudio.com or by calling 801-938-5513.